Ross-Tech today announced the release for sale of their new USB Enthusiast class interface called the HEX-V2. Designed to be used with Ross-Tech’s acclaimed VCDS® program running on Windows® based computers, the HEX-V2 is compatible with all diagnostic-capable VW/Audi passenger cars from 1996 to current model year. 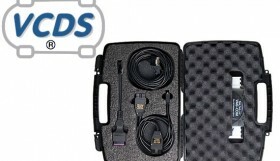 It has a detachable USB cable which has a proprietary screw locking mechanism but can be replaced temporarily with a standard USB-A to USB-B (“printer”) cable should it become damaged. A new modern 32-bit micro-controller and fully updateable firmware design allows Ross-Tech to keep the tool current as vehicle equipment changes. 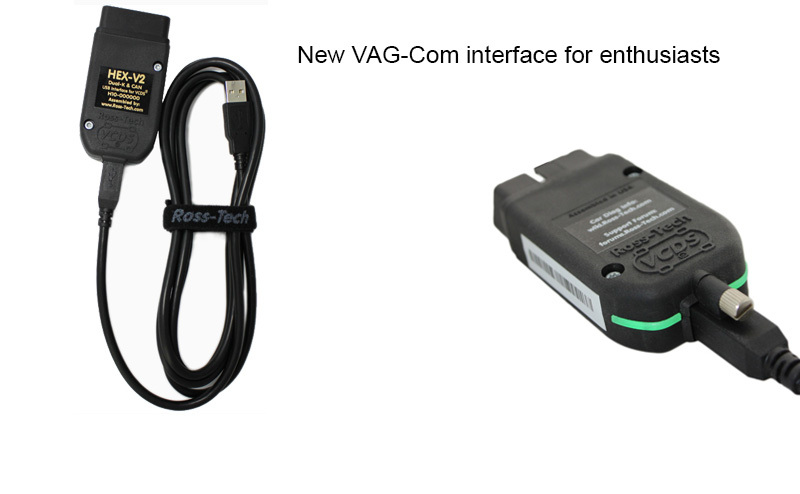 Further improvements have been made over the older wired products which the HEX-V2 replaces. Tri-Color (red/green/blue) status/activity LEDs with greatly improved visibility from almost any angle have been added to the user easily see the status. The DLC connector at the car end of the device has been redesigned with improved plastics for better durability.